I don't make New Year's Resolutions (because I can't keep them!) but one of my goals for this year is to read more historical fiction and more Newbery winners. 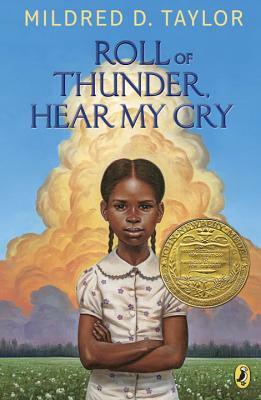 So for the first time (I know; it's hard to believe), I read Roll of Thunder, Hear My Cry. Synopsis (from the publisher's website): Winner of the 1977 Newbery Medal, this is a remarkably moving novel--one that has impressed the hearts and minds of millions of readers. Set in Mississippi at the height of the Depression, it is the story of one family's struggle to maintain their integrity, pride, and independence in the face of racism and social injustice. And, too, it is Cassie's story--Cassie Logan, an independent girl who discovers over the course of an important year why having land of their own is so crucial to the Logan family, even as she learns to draw strength from her own sense of dignity and self-respect. 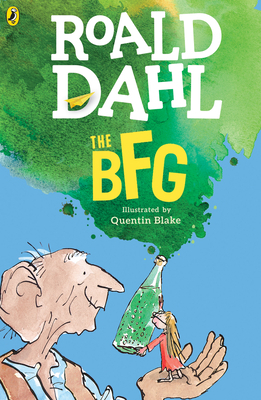 Why I recommend it: This should be a modern classic. The writing alone is worth the read. You can tell you're in the hands of a master. Some books don't stand up well more than 35 years later, but this seems as fresh as if it was written this year. I felt completely inside nine-year-old Cassie's head as she tells us about the events of 1933 in their small Southern town. She's brave and headstrong and I was cheering her on and crying with her all the way. Kids who know very little about that time period -- and the terrible injustices that happened all too often -- should find this an eye-opener. And not just on Martin Luther King Jr. Day. The American Library Association posted a wonderful interview with Mildred Taylor in 2006. For more middle grade reviews, see Shannon's blog. Have you read any of the Logan family sequence? What did you think? And don't forget to listen to the ALA Youth Media Awards live webcast (starting at 8 am ET on Monday, January 27) to find out the next Newbery Medal winner, and more. NOTE: After this review, I'm taking a blogging break to revise my third MG novel. Remember when Jerry Spinelli advised me to wait three months? Well, those three months are up next week. I'll be back on February 17 with Part One of an exclusive interview with Pennsylvania resident and author Dianne Salerni, whose MG fantasy The Eighth Day launches in April. Part Two follows on February 24, along with a GIVEAWAY! See you on February 17! "Words," he said, "is oh such a twitch-tickling problem to me all my life." At the same time, I've been working on a poem, and I needed a word that was the opposite of the word echo. I started daydreaming about words like inept. One thing led to another, and I made all kinds of lovely discoveries by Googling "words with no opposite". But does anyone actually use words like ruly, kempt, or ane? Is funct the opposite of defunct? Is ept a real word, as opposed to inept? What do you think? Would you ever use the word ept? And can anyone help me come up with the opposite of an echo? I'd be eternally grateful. With the Winter Olympics coming up in February, the middle-grade girl in your life might happen to be looking for a light, fun, romantic novel about ice skating. Scholastic has just the thing. 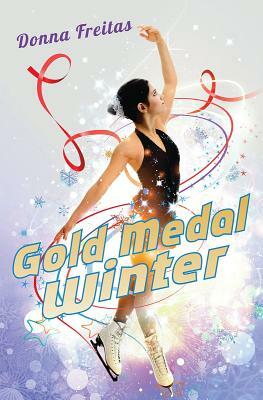 Gold Medal Winter by Donna Freitas (January 7, 2014, Arthur A. Levine Books/Scholastic, for ages 10 to 14). Synopsis (from the publisher): Go gold or go home! After years of early morning training and more jumps than she can count, Esperanza's dream of figure skating for the United States is coming true at last! But with the excitement of an Olympic slot comes new attention and big distractions. Suddenly Espi can't go out with her friends, or even out her back door, without reporters and autograph-seekers following her every move. Her new teammates have a lot more international experience, and they let Espi know that they don't think she's ready. Hunter Wills, the men's figure skating champion, seems to be flirting with her, even as the press matches her up with Danny Morrison, the youngest — and maybe cutest — member of the U.S. hockey team. In the midst of all this, Espi is trying to master an impossible secret jump that just might be her key to a medal. Can she focus enough to shut out the drama, find her edge over the competition, and make the Olympics as golden as her dreams? Why I recommend it: A big plus here is the multicultural main character (Esperanza's mother is Dominican, and the name Esperanza means "hope" so there's plenty of talk about Espi being America's hope for Gold), plus her coach is Lucy Chen, and one of Espi's best friends is African-American, so multiculturalism abounds. This is a breezy and enjoyable read, with plenty of tension and a lot of interesting inside information about the Olympics. I appreciated the quotes from famous skaters like Michelle Kwan and Katarina Witt. Tween girls will devour this not just for the skating and Espi's clash with the "mean girls" of Team USA, but also for the romance, which is squeaky clean. I found it a little hard to believe that a girl training hard for the Olympics would have time to even think about boys, but the author is a former teen athlete herself, having participated in competitive gymnastics for seven years. She also, wisely perhaps, never mentions Sochi, Russia, only a seaside town nestled at the foot of snowy mountains. Politics aside, this means the book would still be appropriate for the next Winter Olympics in 2018 or anytime, really, for anyone interested in figure skating. Readers, will you be watching the Winter Olympics in February? What's your favorite Olympic sport?